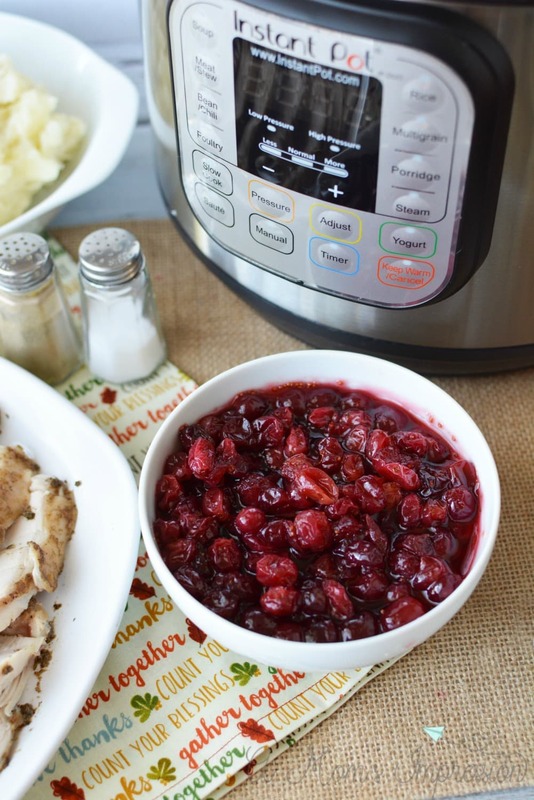 Once you try Instant Pot Cranberry Sauce you will never go back to that canned cranberry sauce. 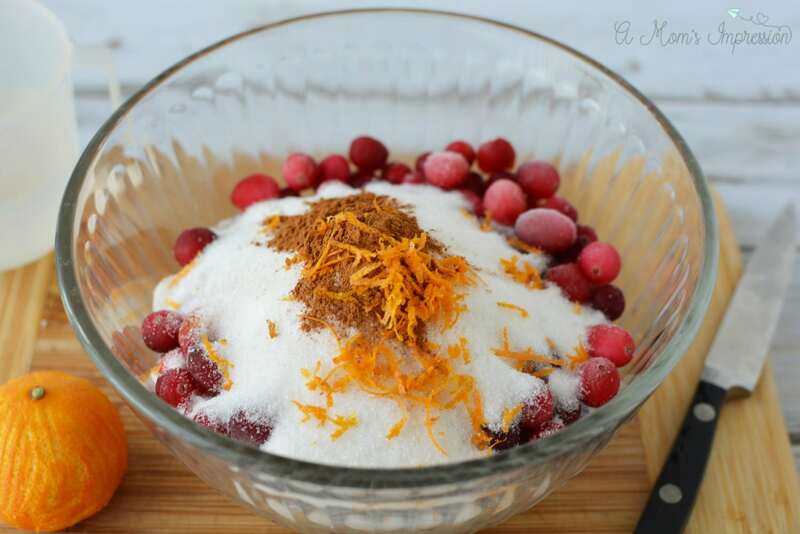 So easy and simple to make, it’s a perfect Thanksgiving recipe. LOOKING FOR MORE THANKSGIVING RECIPES? CHECK OUT MY INSTANT POT MASHED POTATOES, MY INSTANT POT PUMPKIN CHEESECAKE OR MY INSTANT POT TURKEY BREAST WITH STUFFING AND GRAVY! 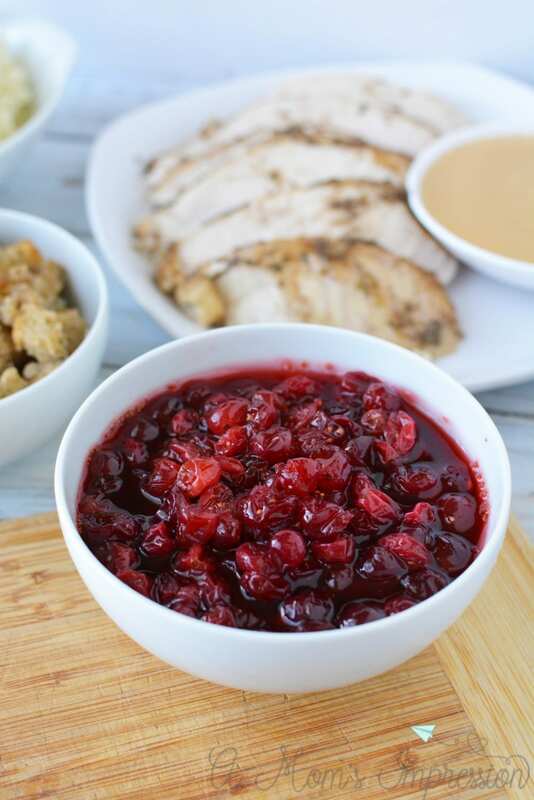 I was one of those people who thought they hated cranberry sauce. I wouldn’t touch it with a five foot pole at Thanksgiving. The problem was that we always had that stuff out of a can. It turns out that I actually love cranberry sauce when it is homemade. 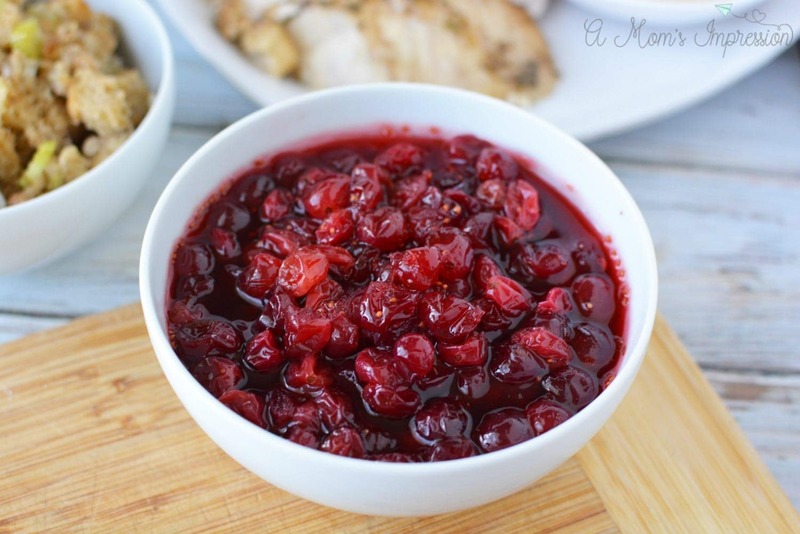 This recipe for Instant Pot cranberry sauce will change your mind as well! 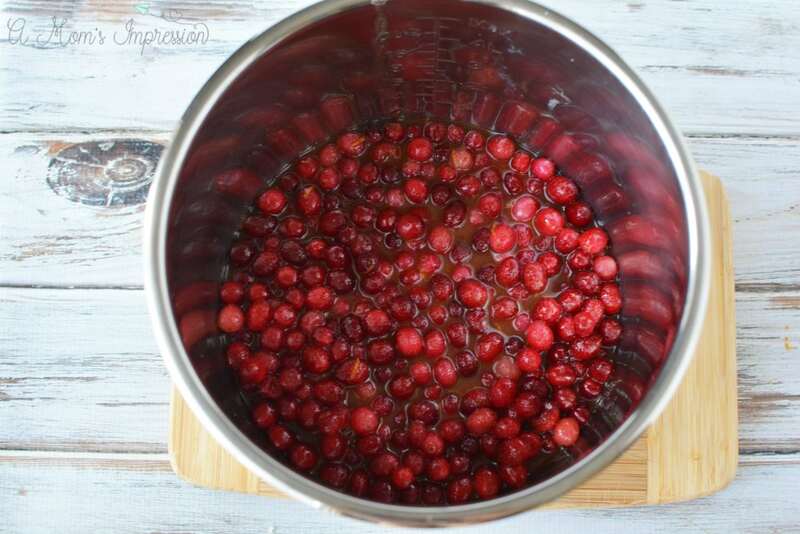 I know it can be tempting just to open up a can of cranberries during Thanksgiving when you have so much to prepare and cook already, but I promise you that if you try this out in your electric pressure cooker, you will have amazing tasting cranberries in just 8 minutes of cooking time! It is no secret how much I love my Instant Pot. I have used mine for just about everything from soups to desserts. When you are making a big meal for your family, it is very nice to free up a burner on the stove by using your pressure cooker. It is especially helpful for a big family meal like Thanksgiving or Christmas. Mix all ingredients together in a mixing bowl or the instant pot. Place the lid on the instant pot and close the pressure release valve. Set the instant pot to steam, high pressure for 8 minutes. When done cooking, quick release the steam. Place into a serving dish and serve. 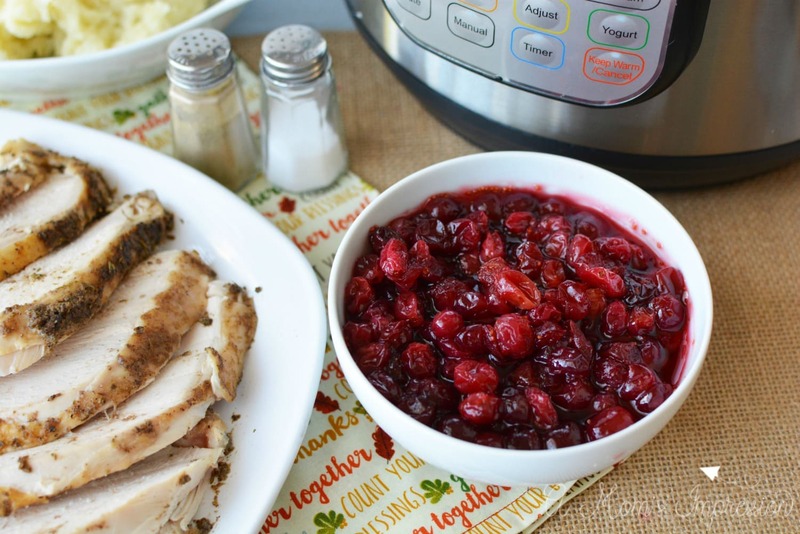 Be sure to check out our Instant Pot mashed potatoes recipe for a great side dish to your turkey and stuffing! 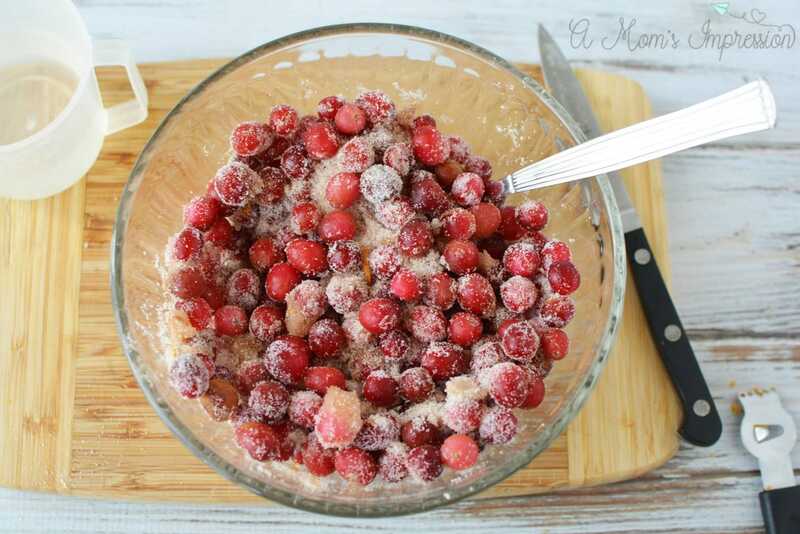 Need a dessert option for the Instant Pot? 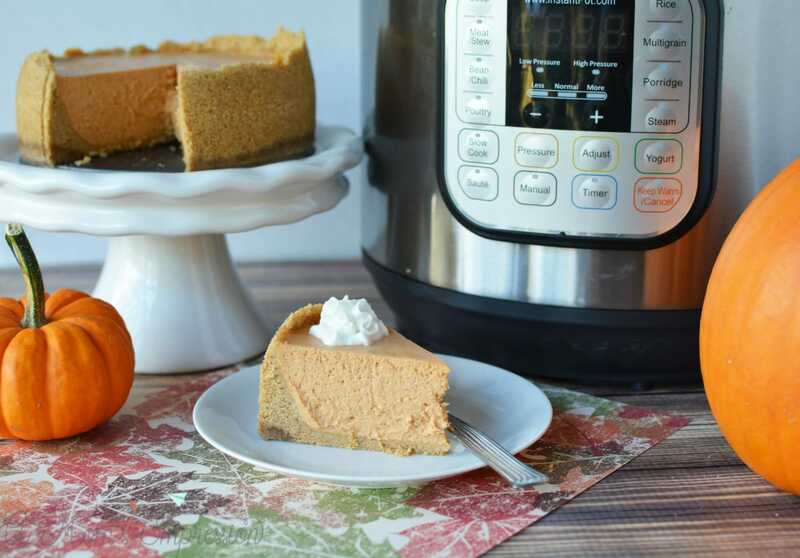 Yes, I did make a pumpkin cheesecake and you can get the recipe here!